Today, we may well take vinyl flooring for granted. Perhaps pushed to the side a bit over the past generation or so by the development of sophisticated laminate, the availability of more and finer hardwood, and the emergence of an incredible variety of stone products, it may seem initially that vinyl flooring is a thing of the past. Hardly. The ProSource Wholesale® product catalog alone features close to 1,000 varieties of vinyl flooring, and the surface is as popular as ever. Debuting at "A Century of Progress International Exposition" – more commonly known as the 1933 Chicago World's Fair – vinyl truly became popular, not surprisingly, during the age of consumerism; the 1950s. A time when creativity in the designed elements of everyday life was reaching a zenith in this country. By the 1960s, the popularity of vinyl flooring had exploded – an appropriate time for a product that was space-age-like in coolness. Price: Vinyl is the least expensive of non-carpet floorcoverings. 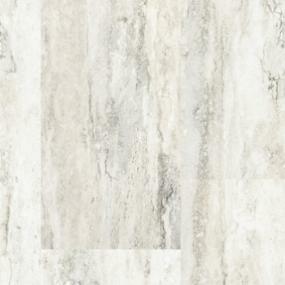 Budget-conscious or not, vinyl flooring is a great value. 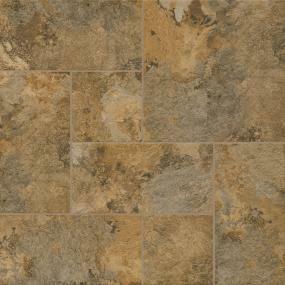 Resilient: Vinyl flooring wears extremely well, and is very resistant to dirt, water and stains. In fact, many manufacturers include warranties of 15 years or more. A properly installed and maintained vinyl floor can last for well over 20 years. Variety: As mentioned earlier, vinyl is available in a huge assortment of colors and styles, with designs that even have the look of stone tiles or wood planks. Easy Care: When it comes to cleaning, vinyl is hard to beat. Requiring no post-installation maintenance after installation, vinyl needs to just be swept and mopped occasionally to keep clean. Easy On The Feet: With the right backing of felt or foam, most vinyl flooring provides a slightly softer surface to the touch than some other hard surface products. When it comes to vinyl, there are two options: sheet and tile– and there are some slight differences in each. Overall, sheet vinyl tends to be a little less expensive and are moisture-proof since there are no seams. However, sheet vinyl is tricky to handle and are best installed by a professional. Vinyl tile, on the other hand, while a bit more costly, has a few advantages. 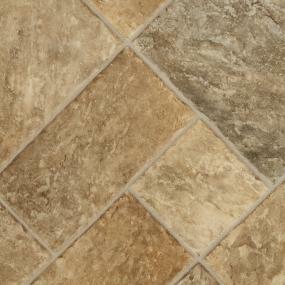 In the case of a cut or gouge, they can be more cost-efficiently replaced one tile at a time. And, because of the one-tile-at-a-time nature of this flooring choice, opportunities for creativity are boundless. Remember: the more creative you want to be, the more you may want to partner with a ProSource expert! If you've been thinking about vinyl, rest assured, it's a flooring choice that can be great for so many reasons. After giving the online product catalog a review, and adding images you like to your myProSource project center, visit your local ProSource showroom to see and check-out samples of the available options. And if until now, you thought vinyl was somehow a "dated" choice … well now you know better! Hey, any home décor product that came of age during the space race is most likely to be a stylish choice for many years into the future. Luke is the consummate Professional. I hope to see some of his work (via photos) posted here.